This is my friend, Caroline Tung Richmond. We met years ago when we were both undergraduates and had mutual friends who enjoyed mid-week breaks from homework to watch reality TV and eat Mexican food. 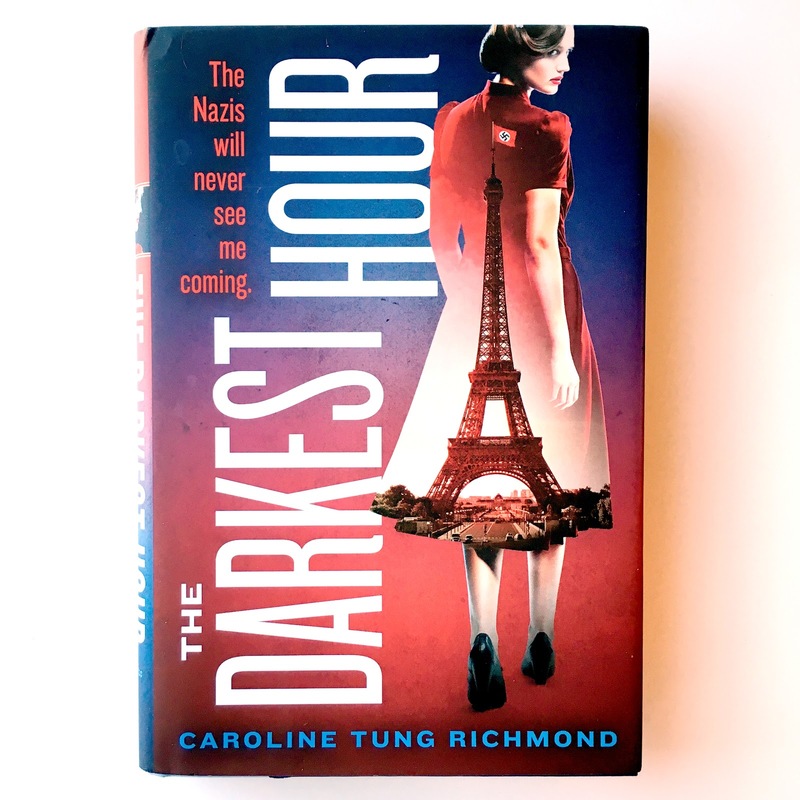 Caroline is a wonderfully successful YA author who has just published her third book, The Darkest Hour. Her first YA novel, The Only Thing to Fear, imagines the devastation of a world in which Hitler won World War II. Some eighty years after his triumph, a sixteeen-year-old girl named Zara has come up with a way to defeat his legacy and reign but she'll have to risk everything for a chance at freedom. Caroline also recently contributed a story to Candlewick Press' A Tyranny of Petticoats. 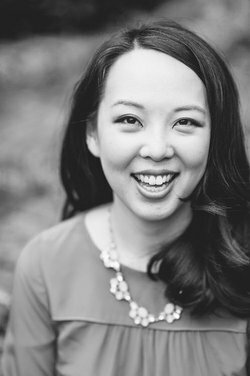 The collection features young adult fantasy and historical fiction stories featuring strong-willed heroines and includes works by authors such as Marissa Meyer, Beth Revis, Marie Lu, and others. Caroline is also currently at work on yet another forthcoming title! Pretty awesome. In The Darkest Hour, Caroline delivers a young adult historical fiction novel with a strong heroine taking the lead. After the Nazis killed my brother on the North African front, I volunteered at the Office of Strategic Services in Washington, DC, to do my part for the war effort. Only instead of a desk job at the OSS, I was tapped to join the Clandestine Operations -- a secret espionage and sabotage organization of girls. Six months ago, I was deployed to German-occupied France to gather intelligence and eliminate Nazi targets. My current mission: Track down and interrogate a Nazi traitor about a weapon that threatens to wipe out all of Western Europe. Then find and dismantle the weapon before Hitler detonates it. But the deeper I infiltrate, the more danger I'm in. Because the fate of the free world hangs in the balance, and trusting the wrong person could cause millions of lives to be lost. Including my own. My good Catholic mother taught me to never lie, cheat, or steal. I pray she can forgive me, then, for what I've agreed to do--for this sin will be far worse. I hurry down the cramped streets of the Marais district, leaping over the fresh rain puddles and smoothing the creases of my habit. The black skirt drags at my feet, and I hope I don't look too much of a fraud--because I certainly feel like one. It has been months since I've knelt for Communion and even longer since I was elbowed into a confessional booth. Yet here I am, rosay in hand, dressed like sour-faced Sister McDougal, who'd rap my kunckles in Latin class whenever she caught me reading Nancy Drew. But getting my knuckles bruised is small change compared to what I've been up to these last six months. If my mother could see me now, if she discovered what I've been training for, I'm sure shed weep for my poor blackened soul. But I'll tarnish my soul if that means smashing the Nazis under my boot. I owe that much to Theo, don't I? Sounds thrilling, doesn't it? Will you be checking out The Darkest Hour? What are your current favorite YA novels?